Nearly ten years after the Financial Crisis, we are at a precarious place. Corporate earnings are strong, but lofty equity valuations and rising interest rates present significant reasons for concern. Many investors and advisors are taking steps to protect capital when the market inevitably heads south. Dana has been managing equity strategies since 1999 with an emphasis on minimizing volatility and improving the consistency of results. We believe this type of approach is as important as ever. If you share this view, please subscribe to our new blog to receive our latest market insights which we trust will be useful to you while making investment decisions. 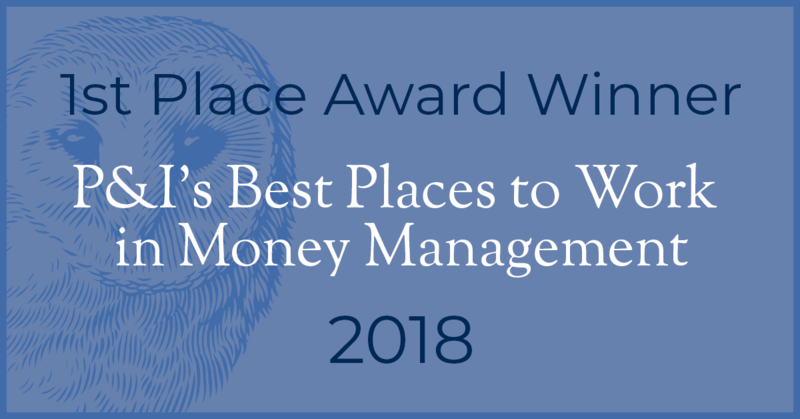 New York, NY (December 10, 2018) – Dana Investment Advisers won the first place in money managers with 20-49 employees in the 2018 Best Places to Work in Money Management awards announced by Pensions & Investments today. Presented by Pensions & Investments, the global news source of money management, sixth-annual survey and recognition program is dedicated to identifying and recognizing the best employers in the money management industry. Peter Lynch, the former manager of the Fidelity Magellan Fund, has a famous story about three cocktail parties he attended as the market was moving through different phases. At the first party, at a time when the market is down, he tells people he’s a mutual fund manager and they quickly walk away to go speak to a dentist. At the second party, when the market has been moving upward, people listen to him about stocks for a little while before losing interest and again seeking out the dentist. But at the third party, when the market has been rallying for a while, not only do people intently listen to him talk about stocks, but they give him stock recommendations of their own!